Nestled in the hills of Provence, nearby the French Riviera, Terre Blanche offers the finest in luxury, serenity, sport and well-being. 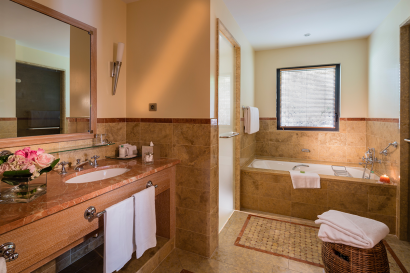 Recharge your batteries, savour Mediterranean cuisine and stroll through the lush surrounding landscape. 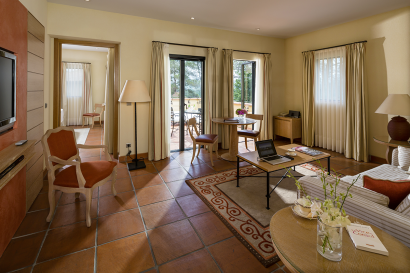 The exclusive domain of 750 acres is designed as a charming Provençal village, the hotel featuring luxurious and spacious suites and villas connected by meandering garden walkways. 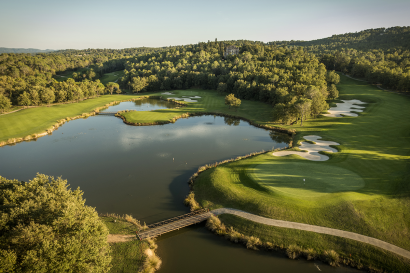 Terre Blanche is a land of inspiration… Indulge in a truly unique wild and pure natural environment with outstanding service and amenities in order to enjoy a memorable stay, a real haven of peace and tranquillity! 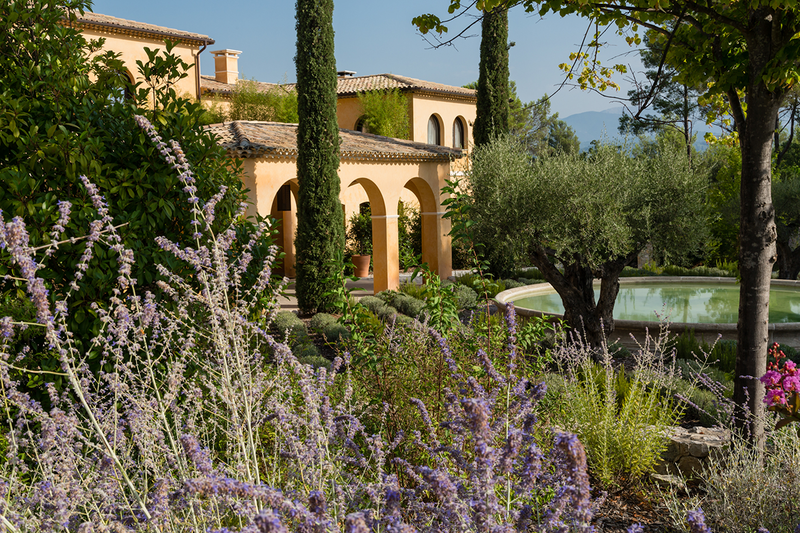 Discover the area around Terre Blanche: succumb to the charm of the nearby Provençal villages, wander through the famous markets with their myriad scents and flavors, enjoy the chic of the Côte d’Azur and unwind on its famous beaches. 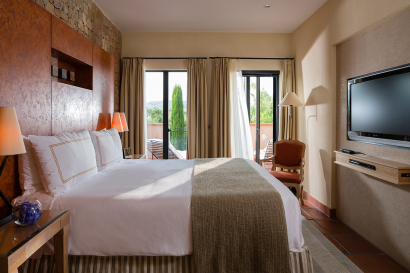 Quench your thirst for excitement and adrenaline-filled extreme sports, discover the sun-drenched vines in an outstanding wine-growing region. 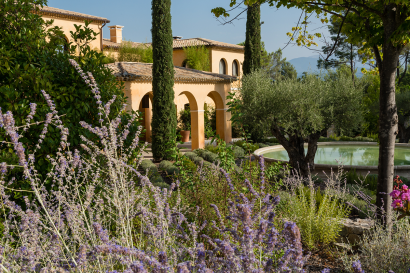 Our concierge is happy to provide suggestions to visit a multifaceted Provence, offering so many amazing things to see and do. THE family experience in Provence Côte d’Azur with a complimentary Kid’s Club (2-12 years old with daily activities), a dedicated summer restaurant, activities & excursions for teenagers & families. Designed as a charming Provençal village with flourished coble stone alleyways, the hotel features 115 Suites and Villas from 60sqm, all with a separate lounge and private terrace, minimum capacity of 2 adults and 2 children (up to 12 years old). 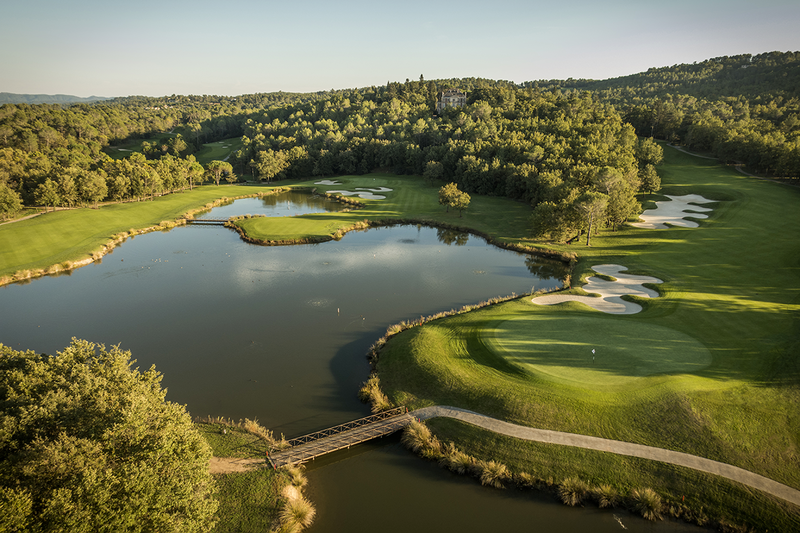 One Michelin-starred restaurant: inspired by the seasons, Chef Philippe Jourdin (Meilleur Ouvrier de France) honours the Southern French cuisine using local and authentic produce. 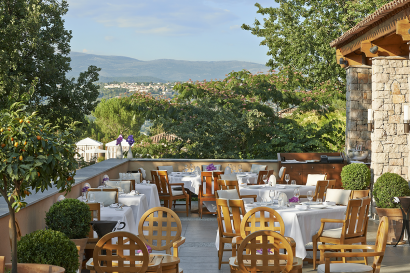 Fine Provençal cuisine: With its informal, jazzy atmosphere, masterpieces of art and piano, it is the ideal place to have lunch or dinner next to the bar or on the terrace. Club-house restaurant: the gourmet break for golfers and non-golfers alike, an open space overlooking nature proposing a menu for every taste, all year long. 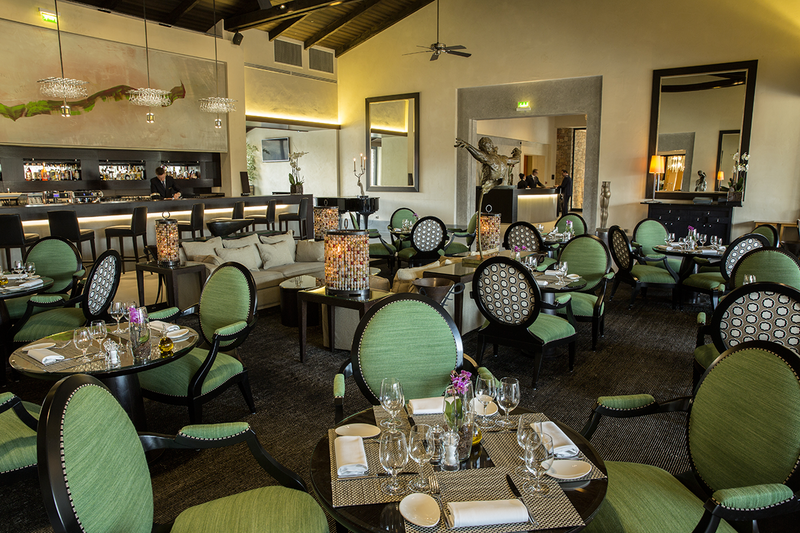 Summer restaurant: for a light meal next to the infinity pool, a shaded terrace with wooden furniture. 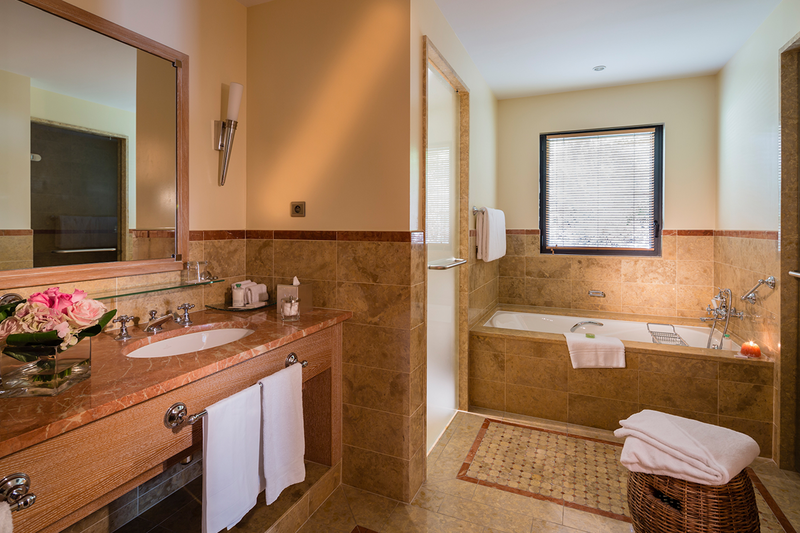 An authentic invitation to escape. 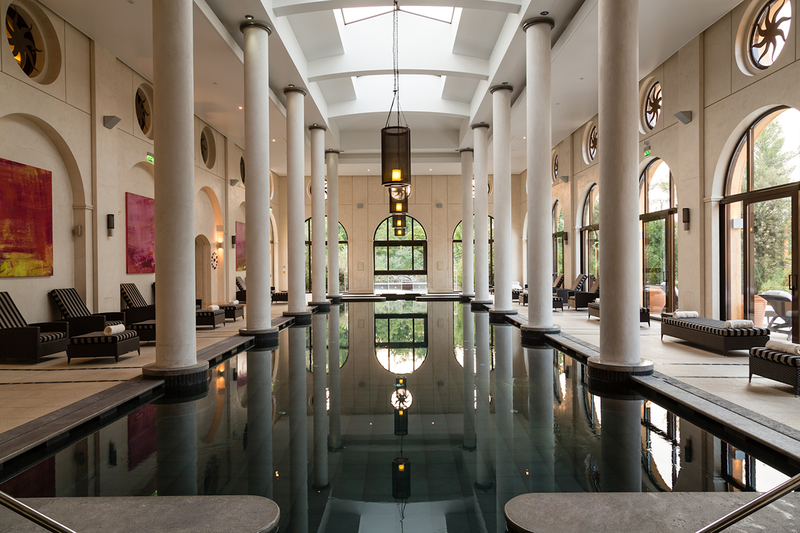 Set in a majestic stand-alone ocher Bastide opening to a fragrant garden, Terre Blanche Spa is a peaceful haven dedicated to wellbeing. It offers each guest infinite possibilities, whatever their objective: slimming, rejuvenating, working out, recovering or simply relaxing. 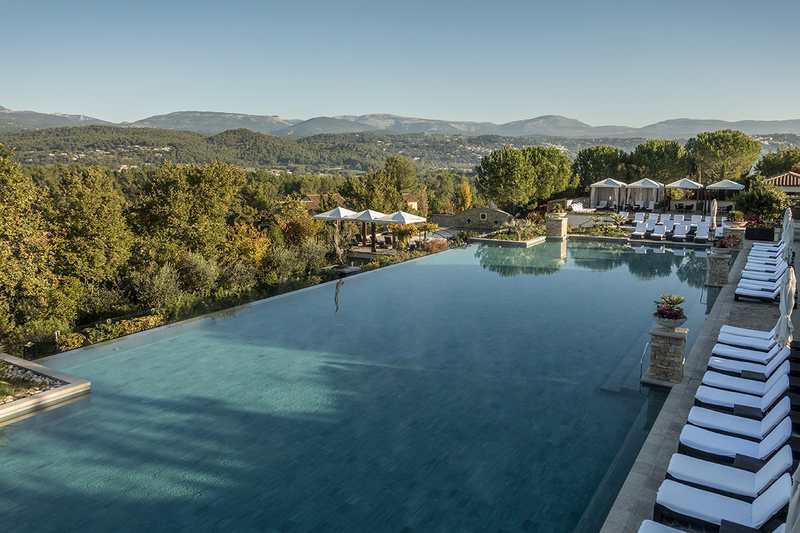 • Heated outdoor infinity pool offering an unbeatable view over the hills and Provençal perched villages. 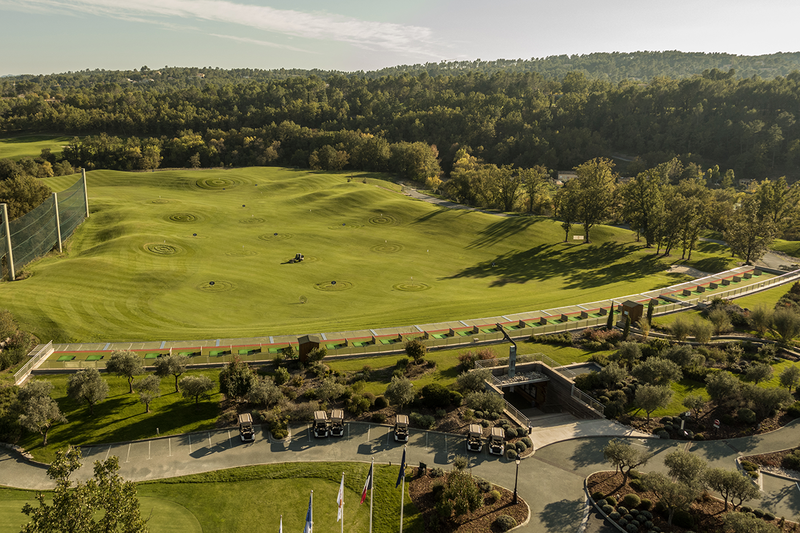 2 world-class 18 hole championship golf courses onsite, the Albatros Performance Center with the brand new Terre Blanche Golf Academy & the Biomecaswing Center (to perfect golf technics –unique in Europe). 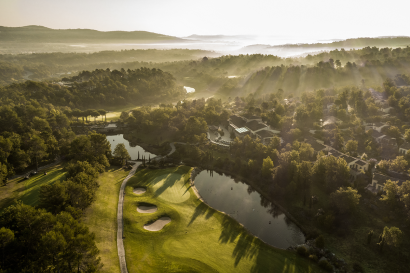 A European Tour Destination that will challenge and seduce all Golfers including professionals. The hotel employs 400 persons in high season.